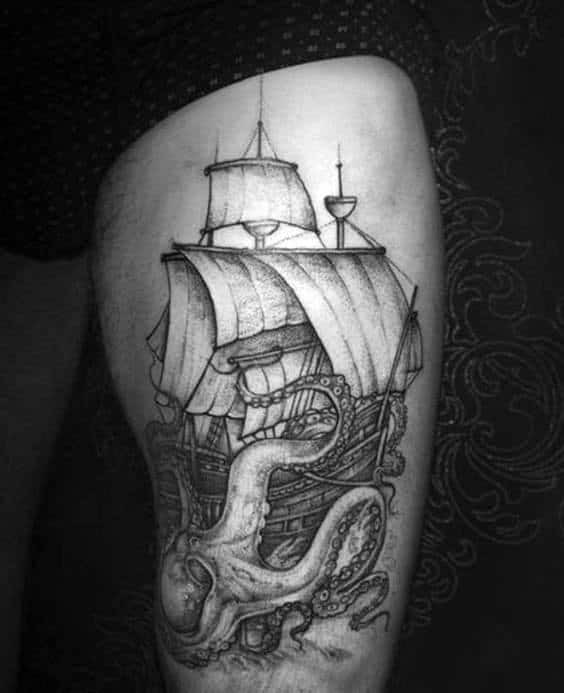 First of all, guys who love tattoos will run out of space faster than they think. 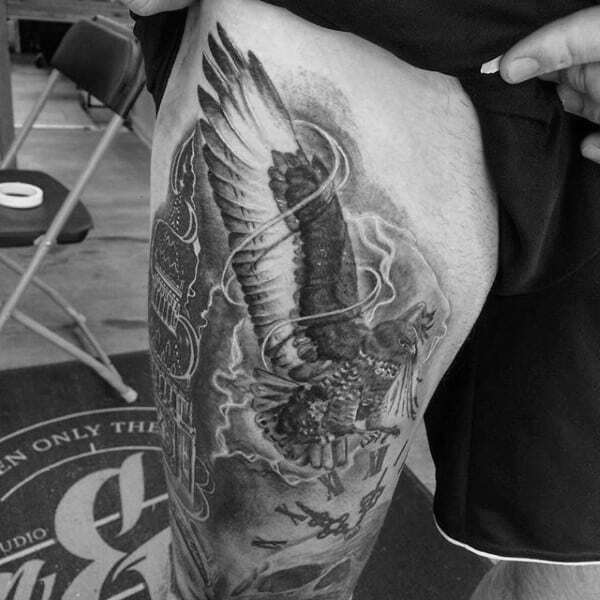 Eventually, the thighs are going to become eligible for ink, so why not do it sooner rather than later. 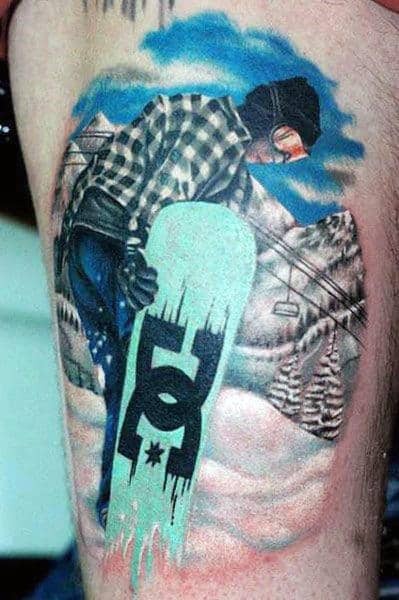 If you think about it, the spot actually makes tons of sense. 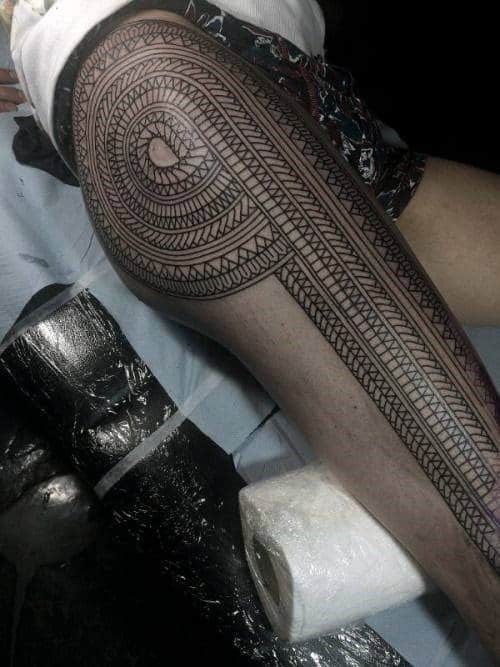 First off, the skin here shifts way slower over time, so these designs will automatically be more immune to aging. 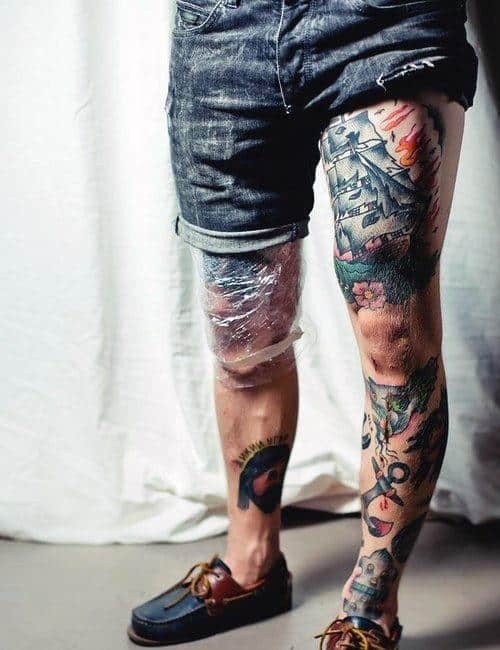 Secondly, they are extraordinarily easy to conceal, which makes it easy to preserve a straight-laced image in your public life. 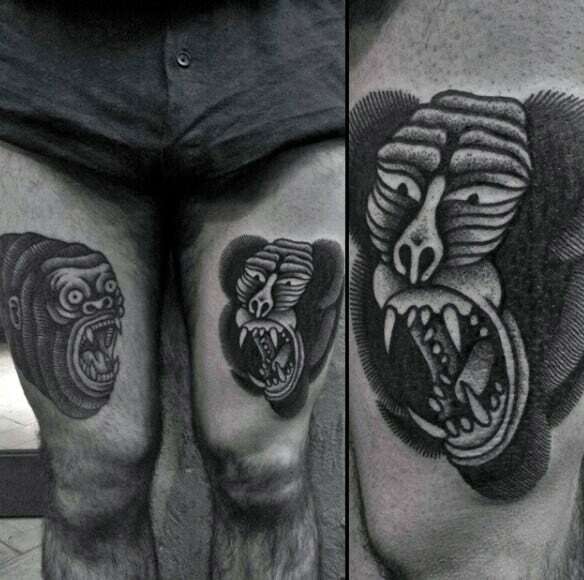 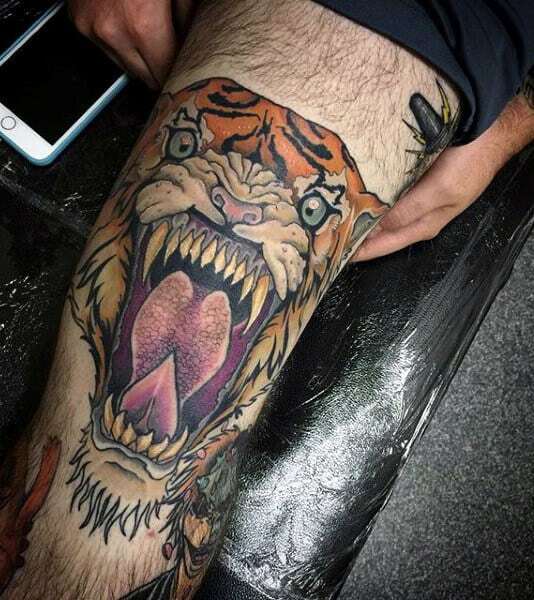 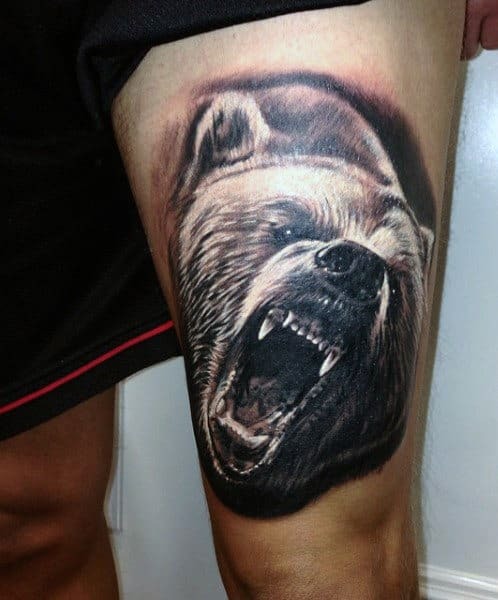 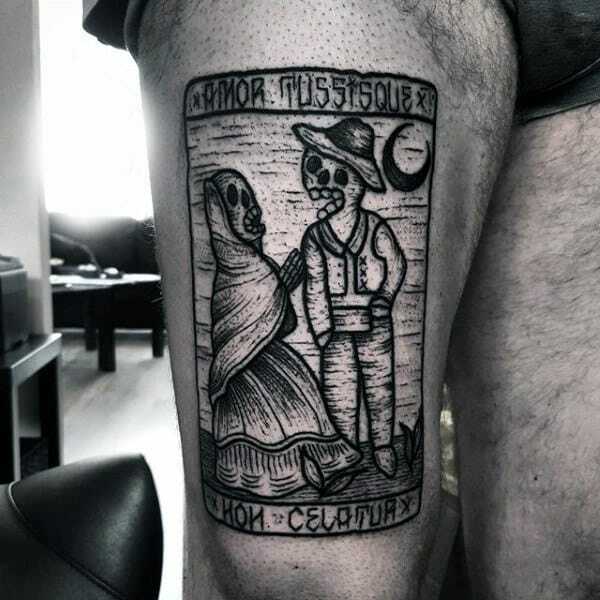 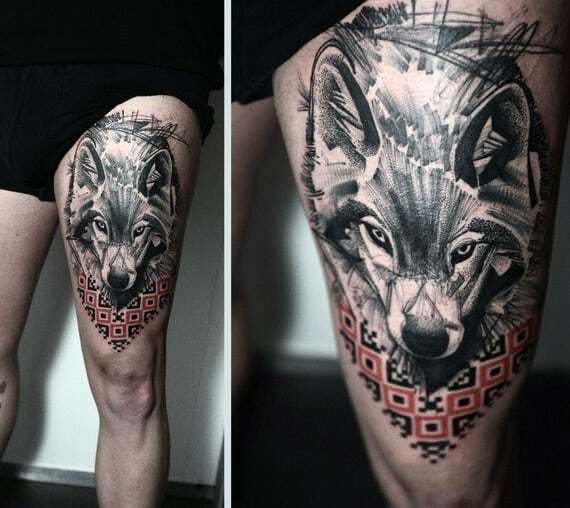 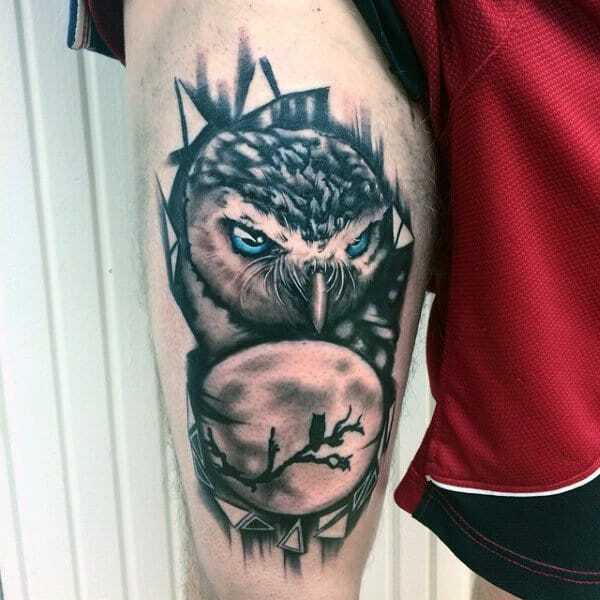 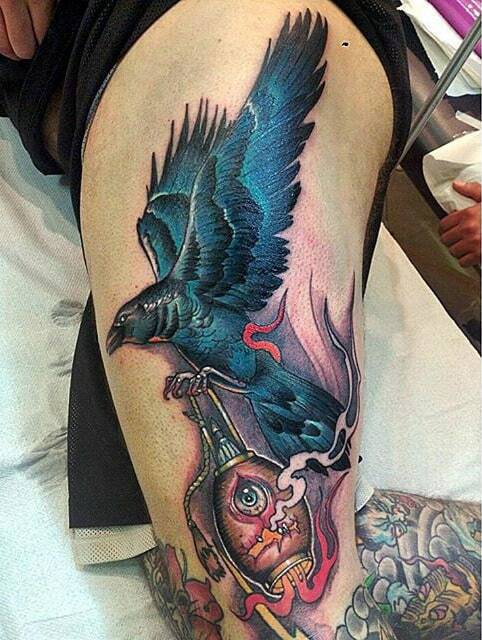 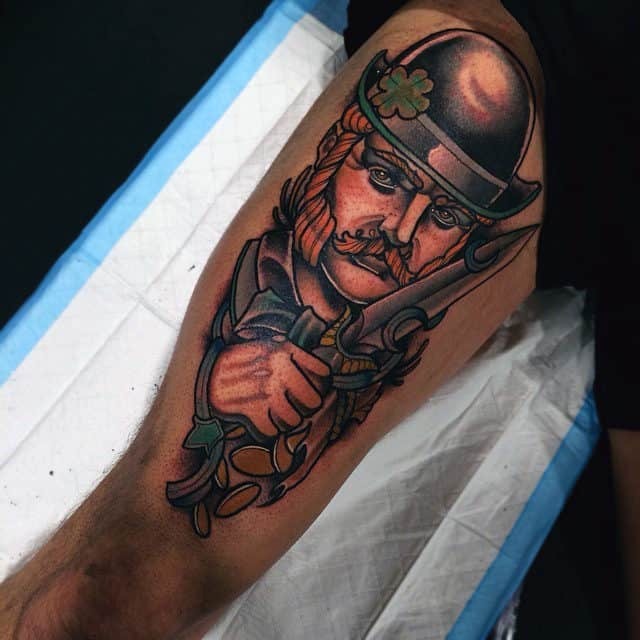 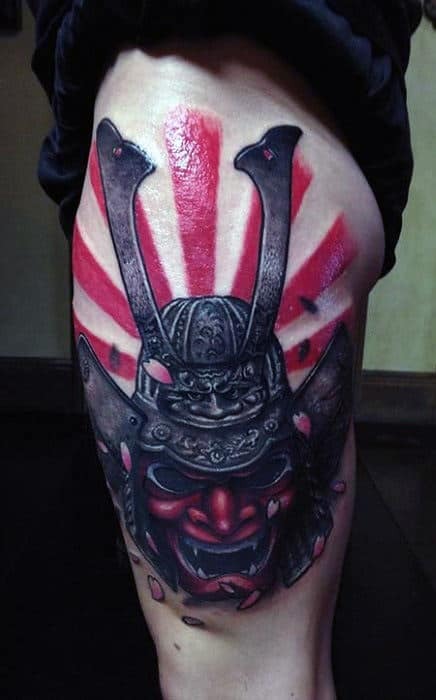 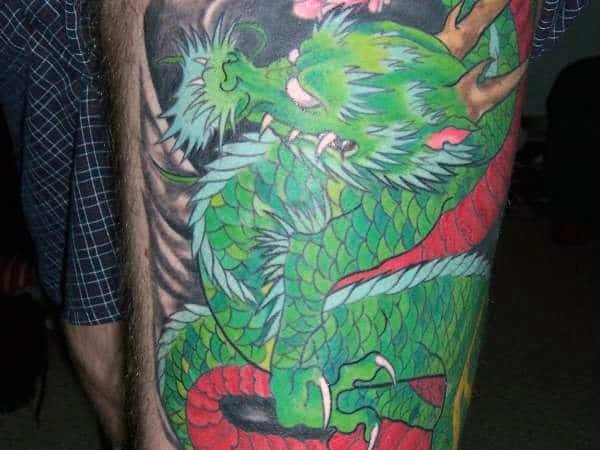 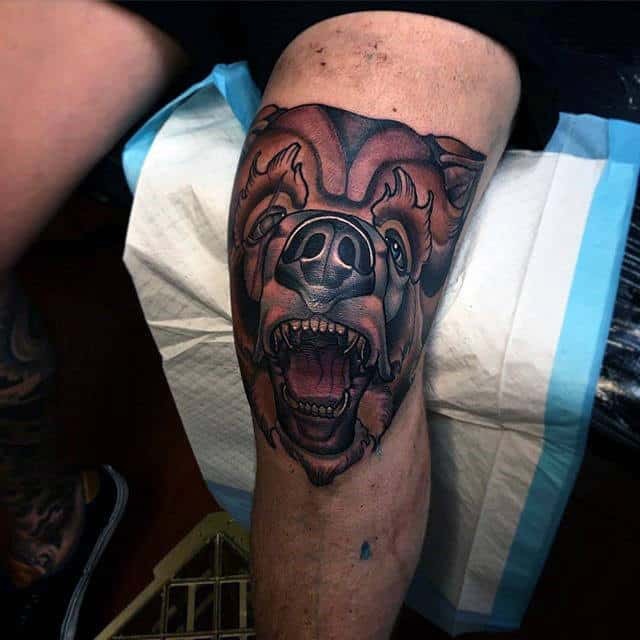 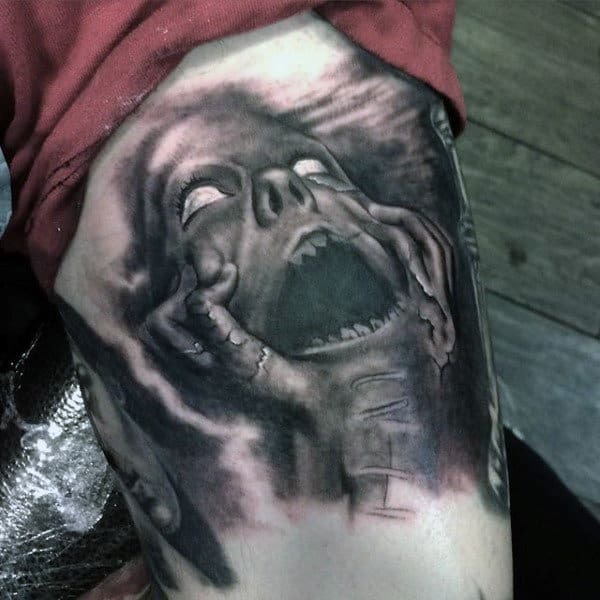 The presumed extra privacy of thigh tattoos also enables designs that are more personal or even potentially offensive. 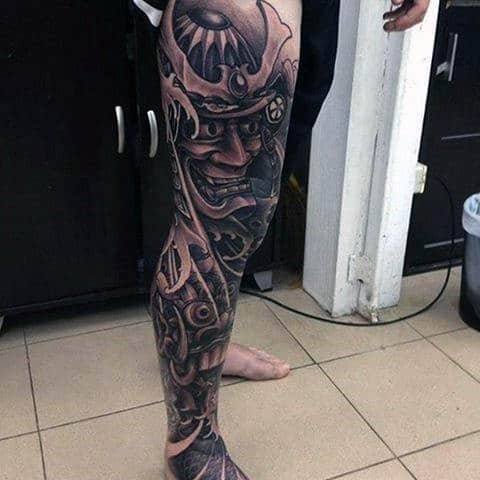 Some thigh pieces even extend along glutes or towards the abs. 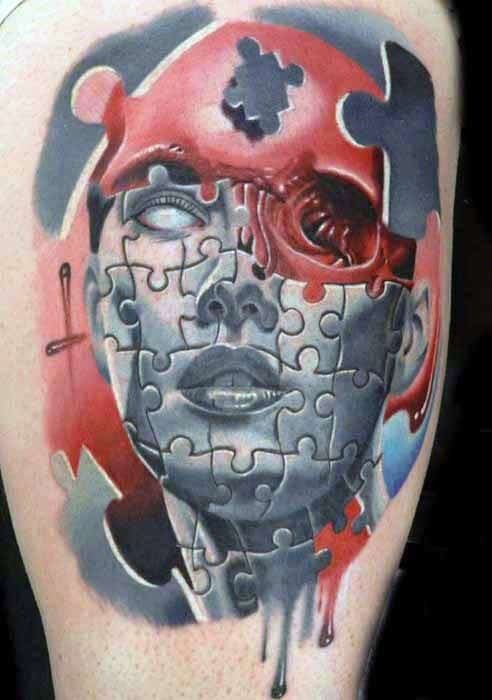 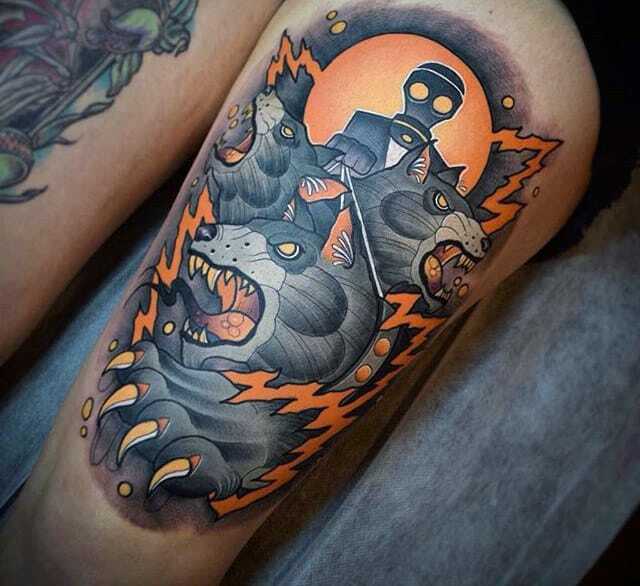 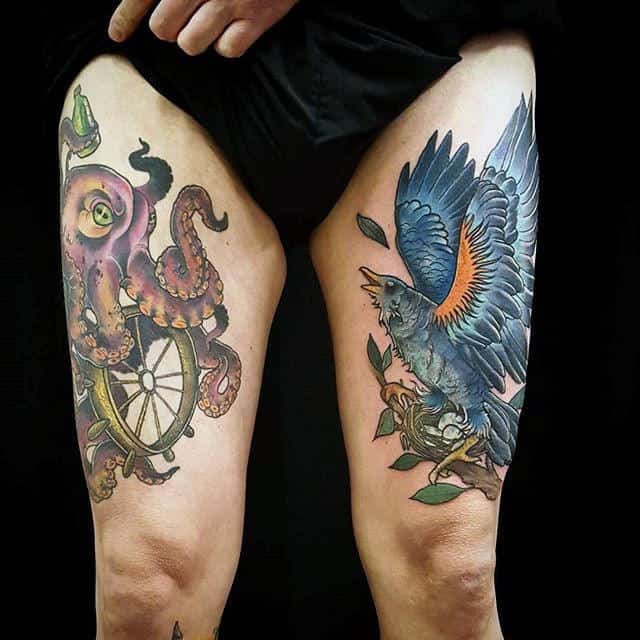 If done right, these tattoos can carry unspeakable allure for the girls to enjoy. 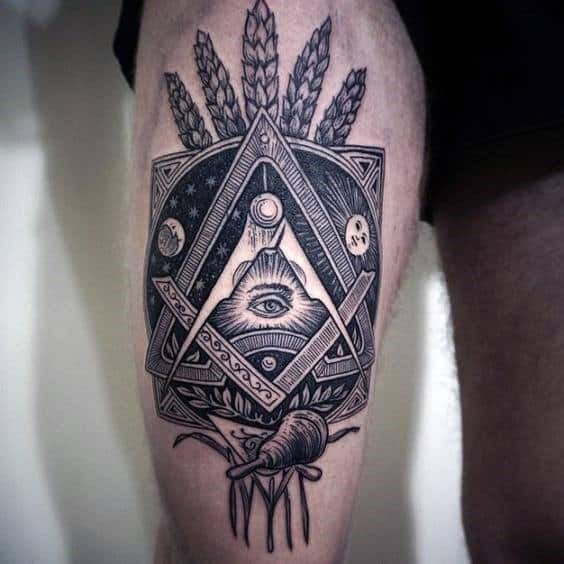 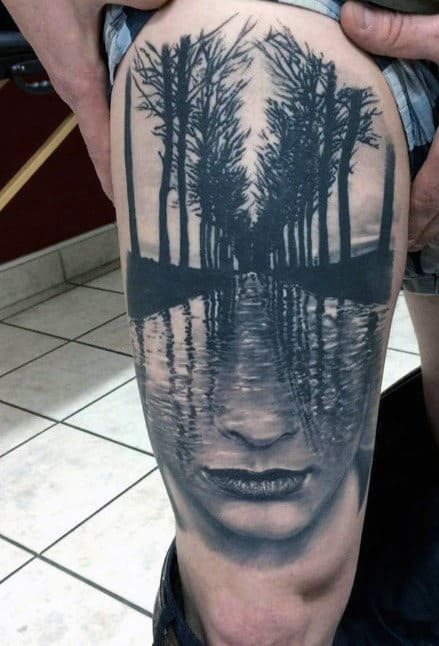 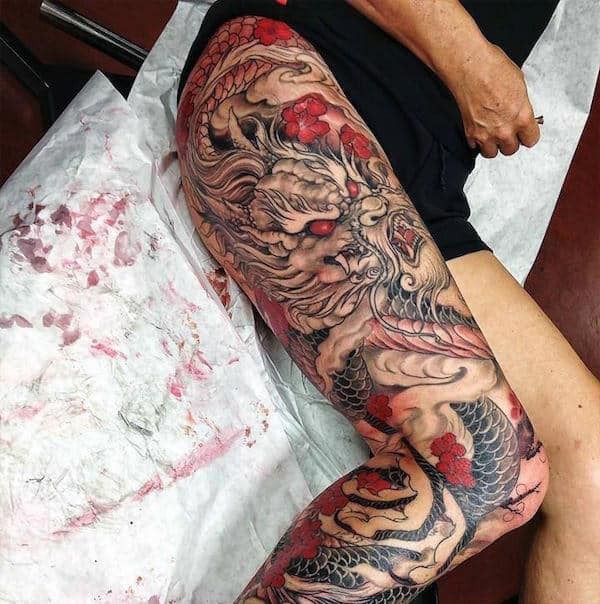 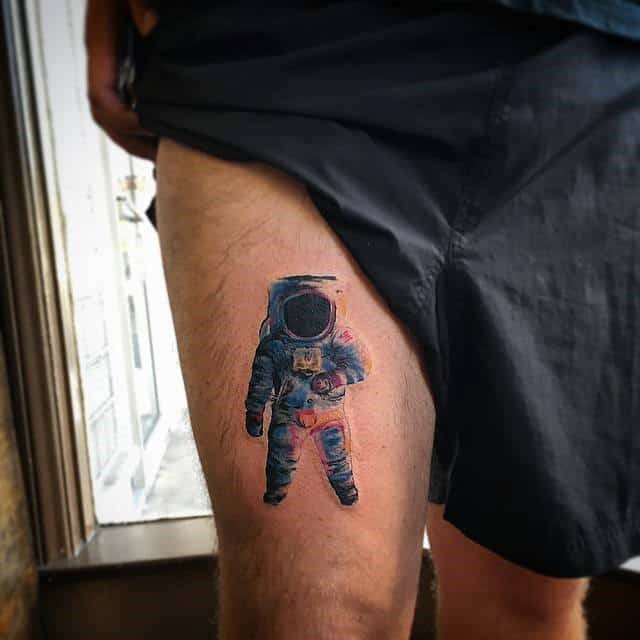 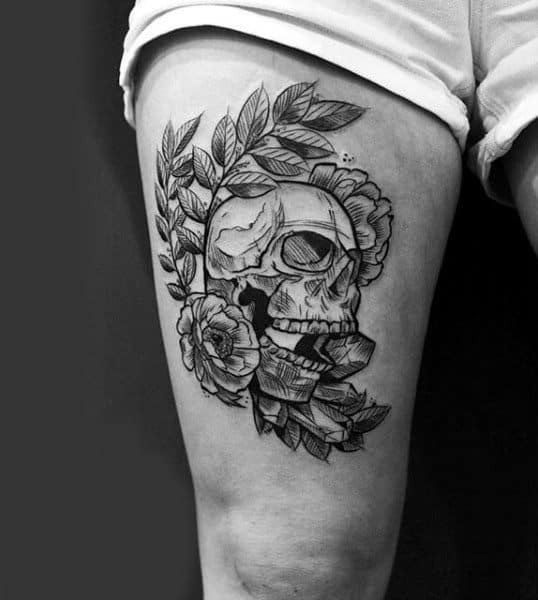 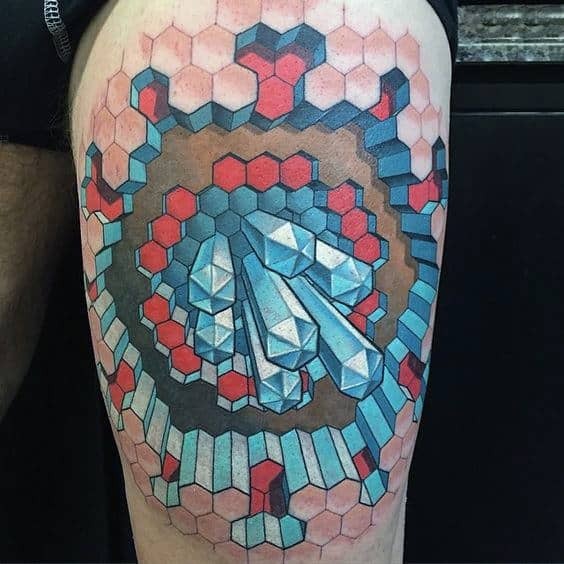 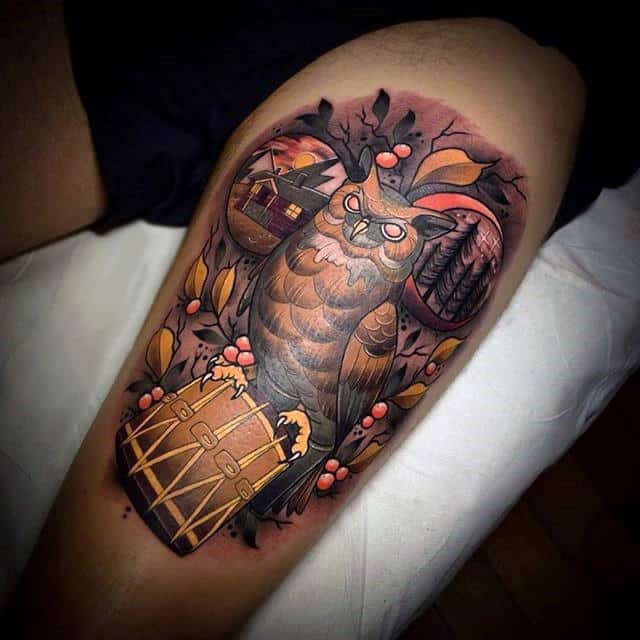 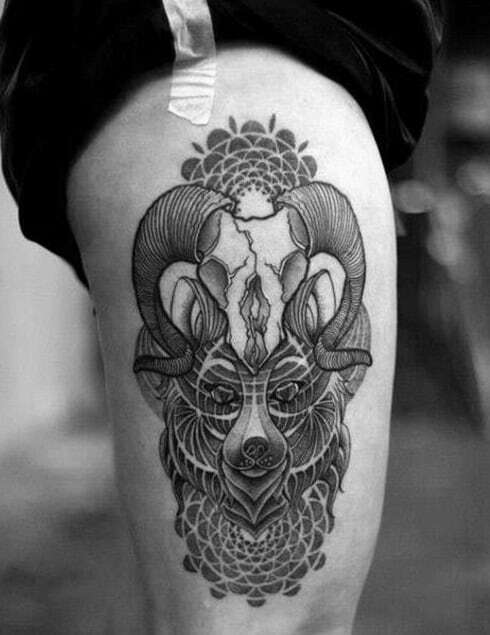 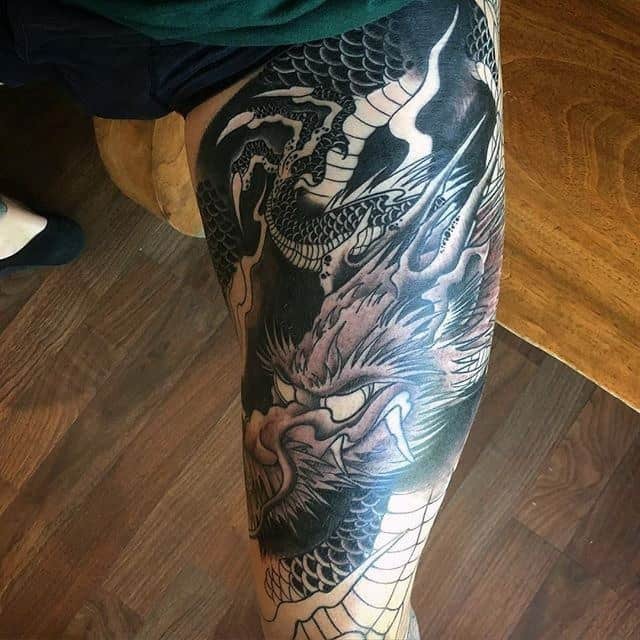 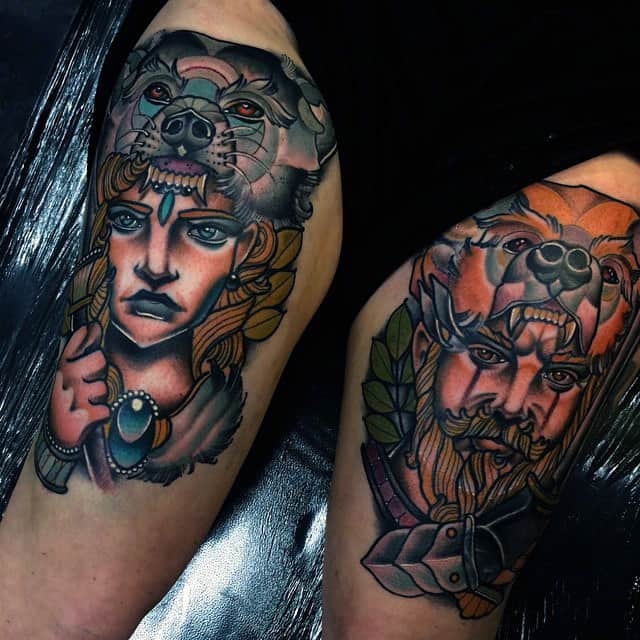 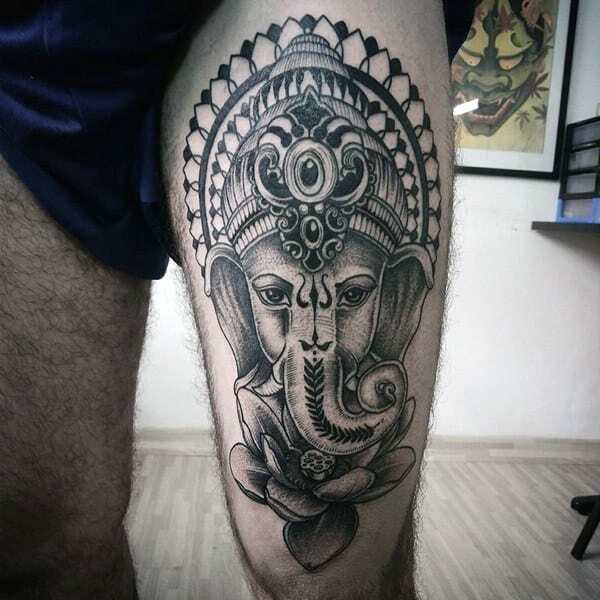 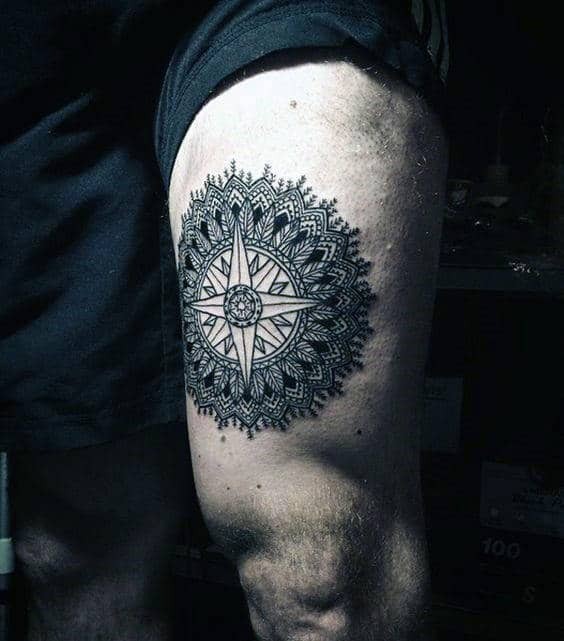 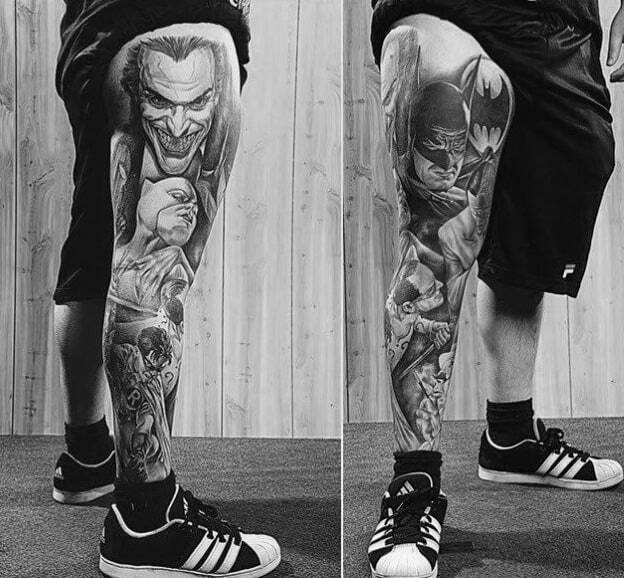 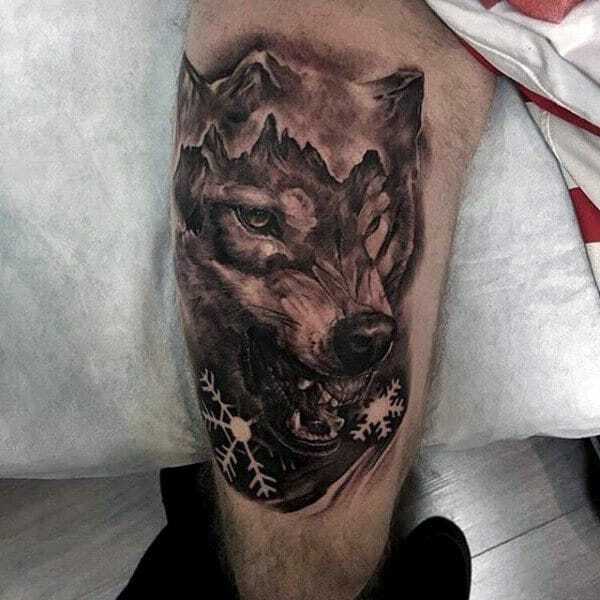 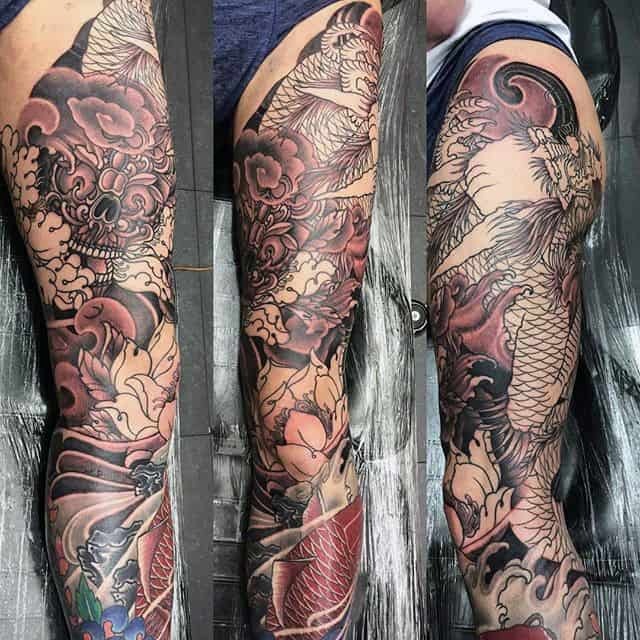 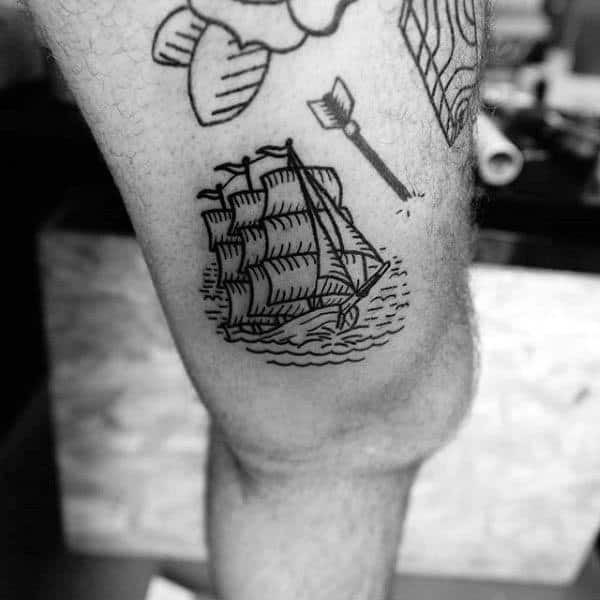 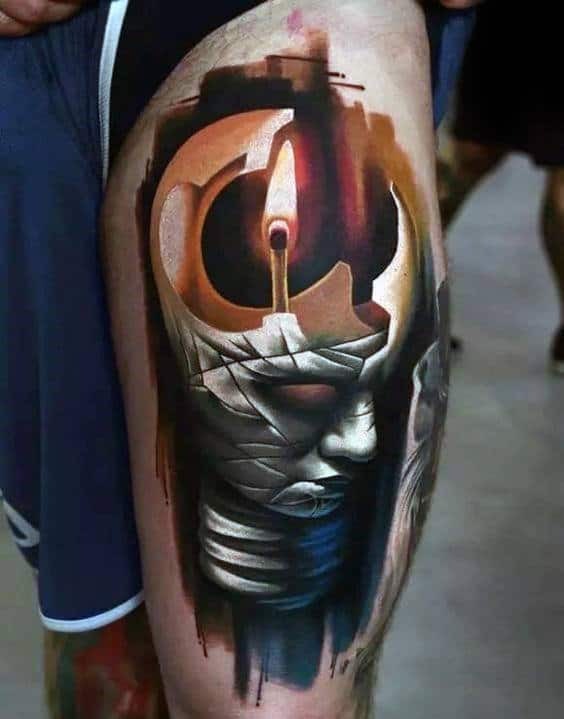 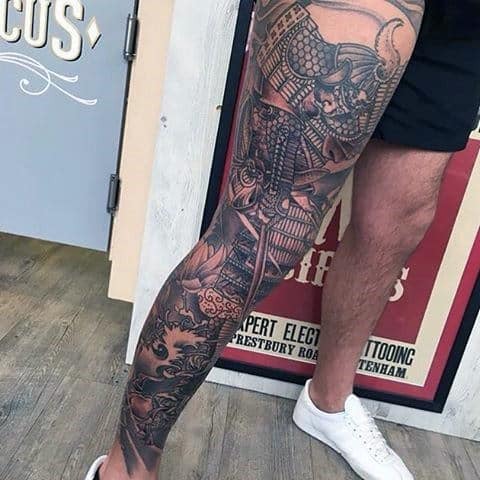 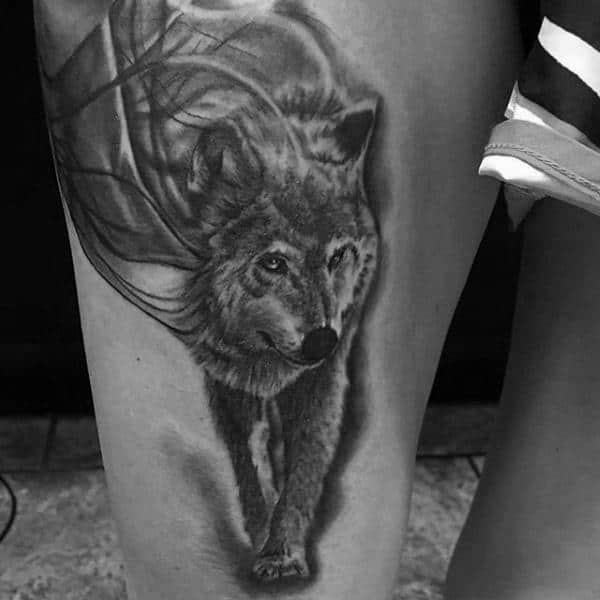 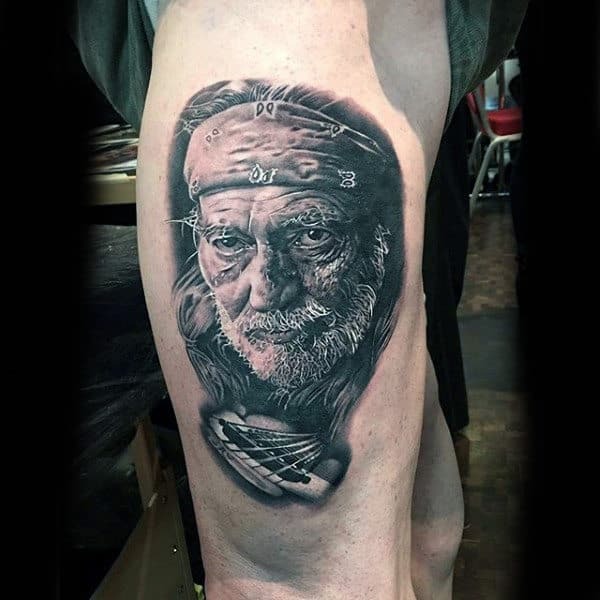 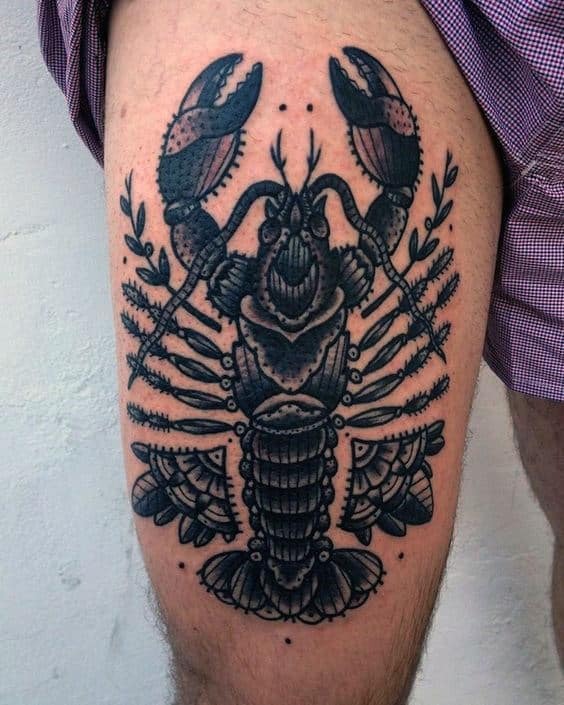 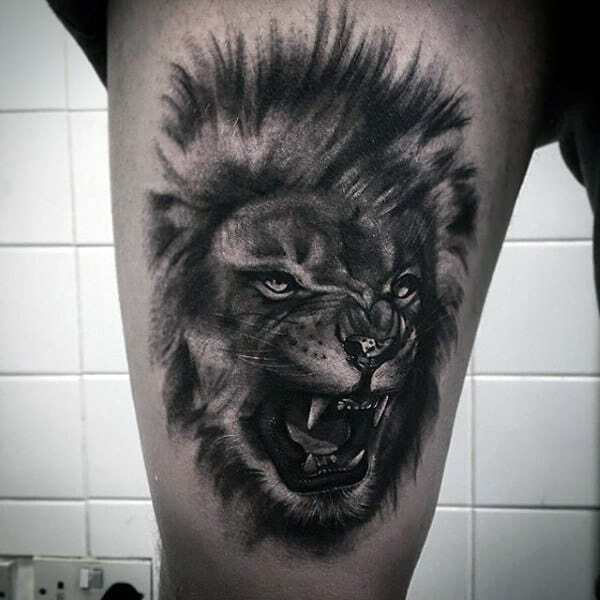 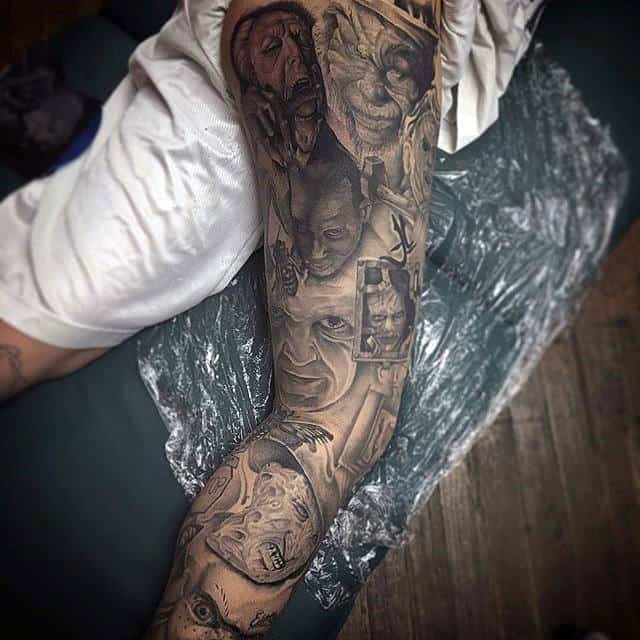 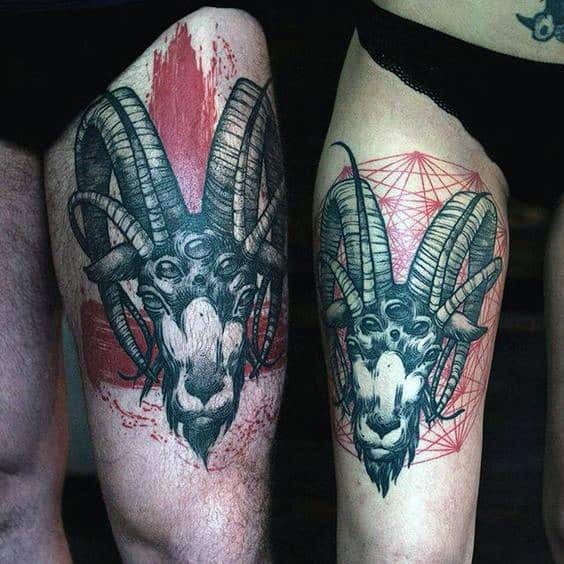 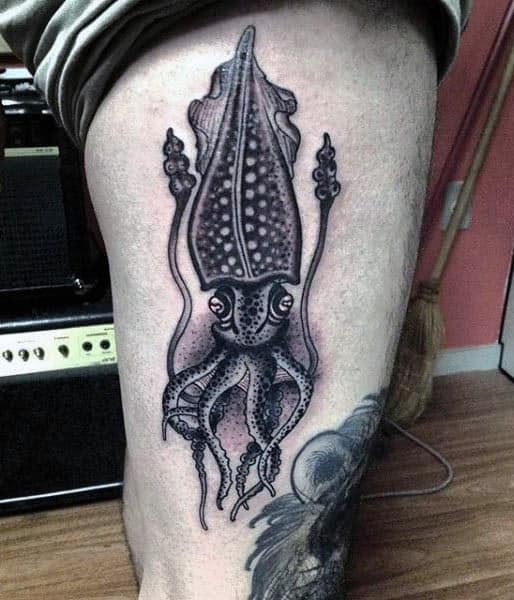 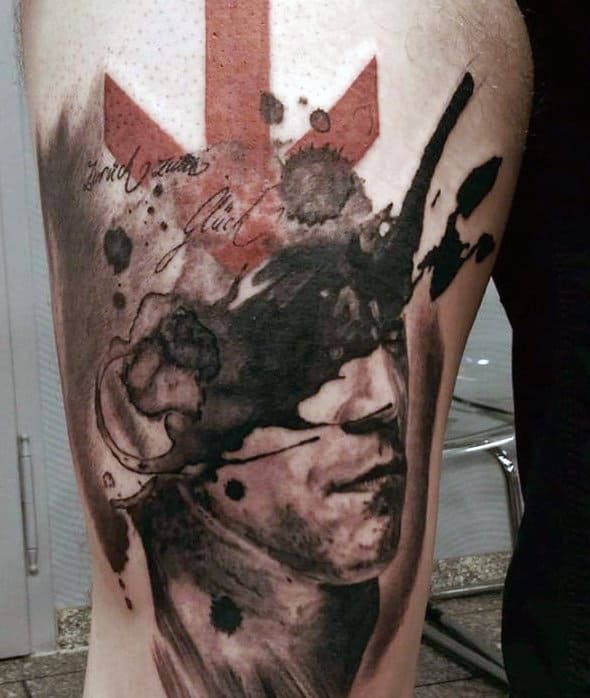 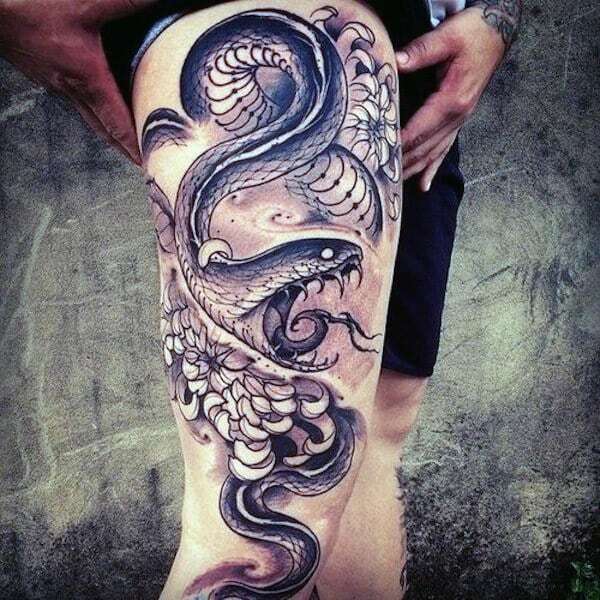 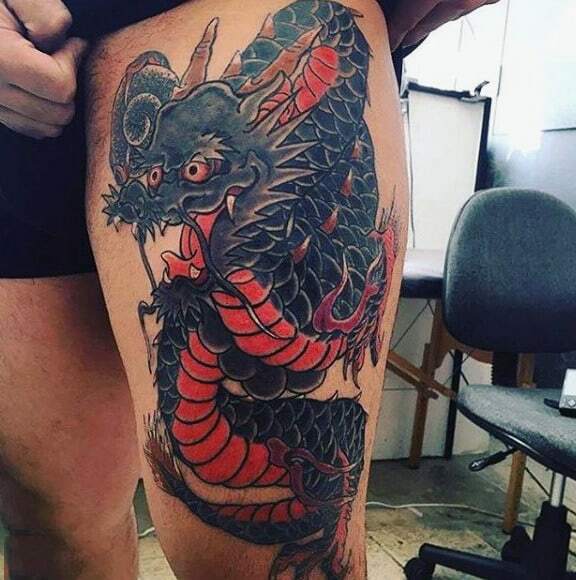 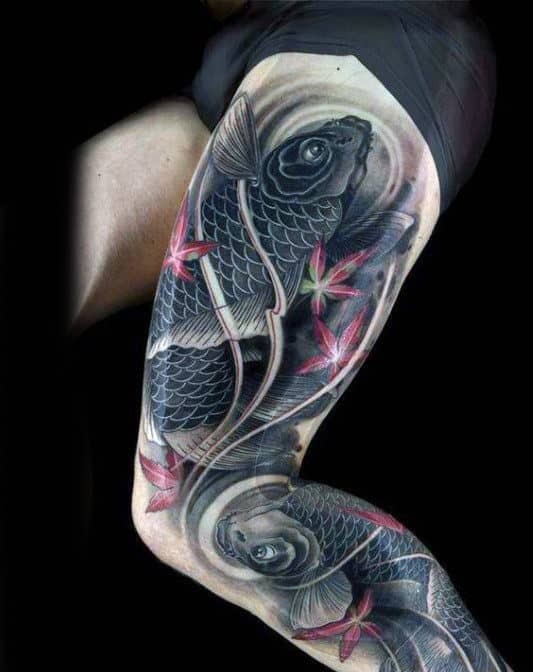 If you want to take the next step towards inked greatness, then dive into our tasteful pictorial assembly of thigh tattoos. 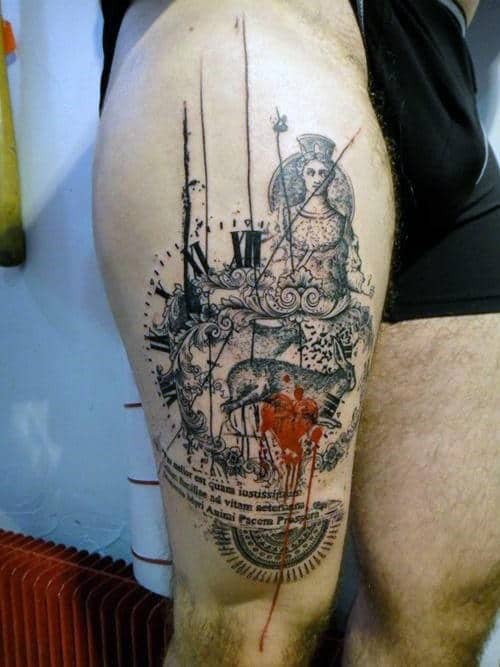 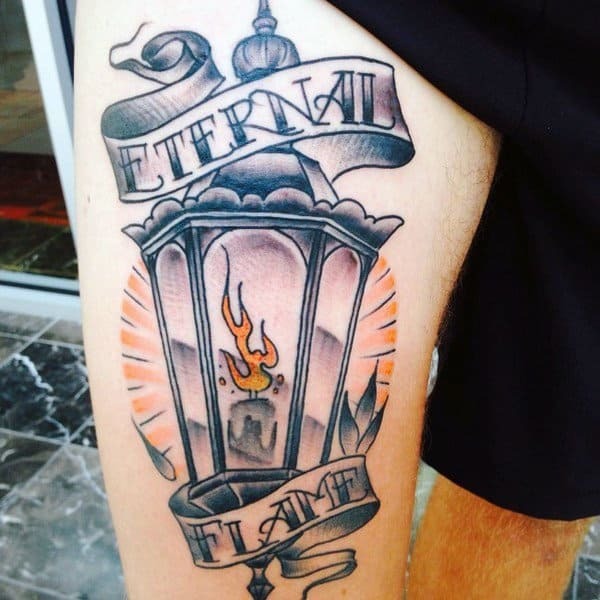 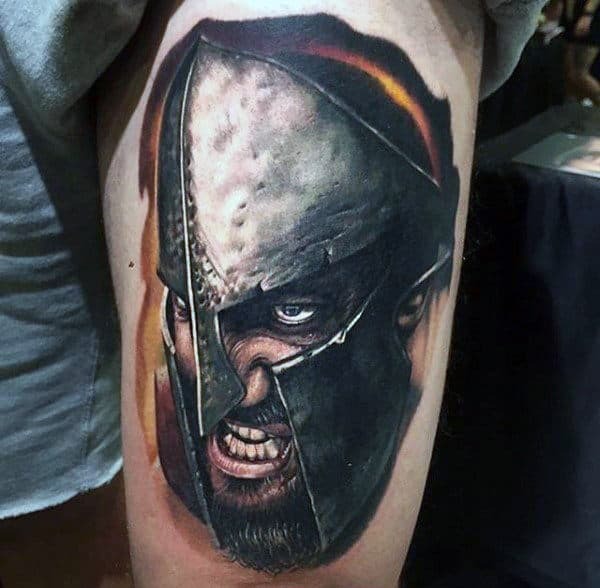 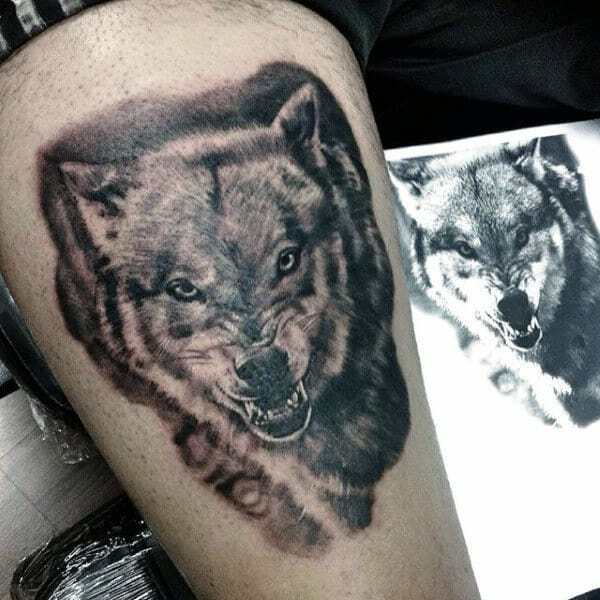 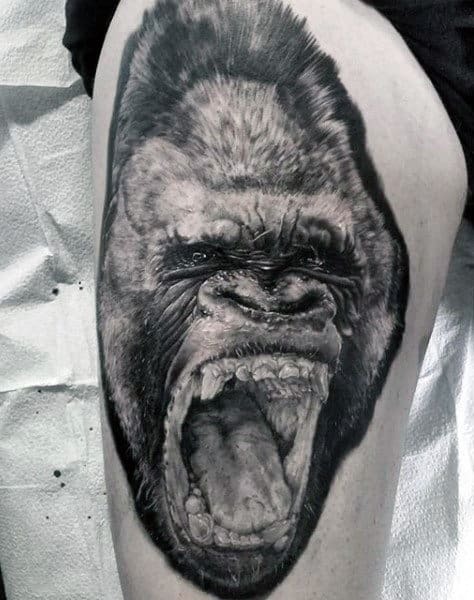 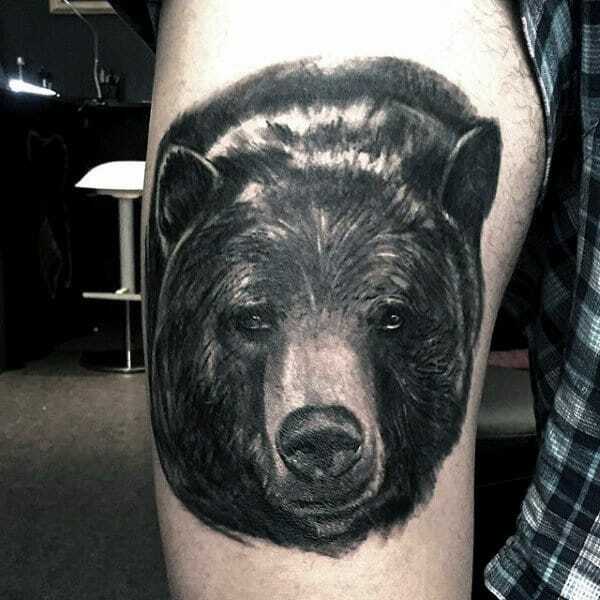 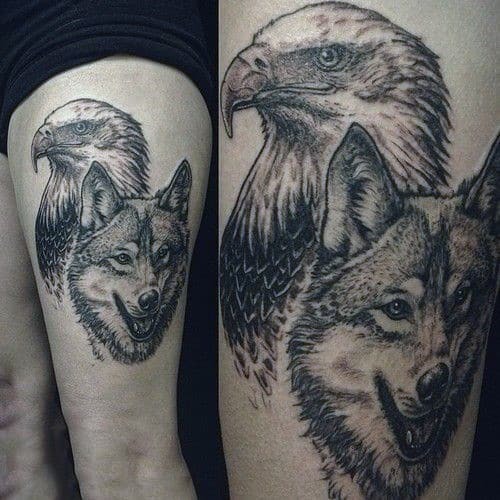 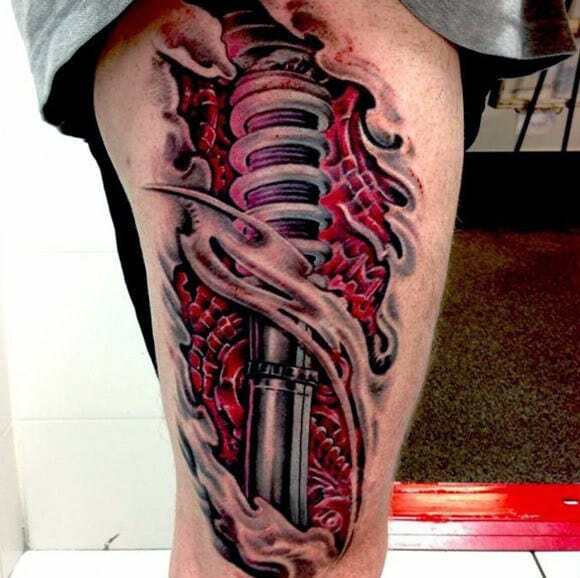 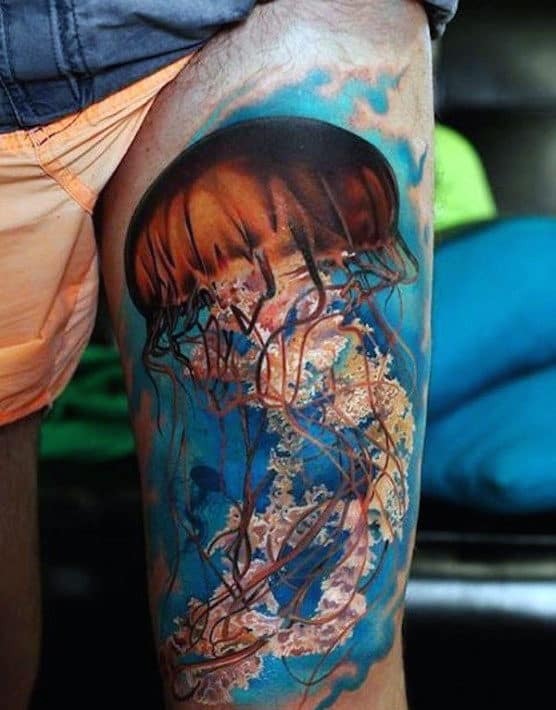 These titillatingly triumphant ink jobs will really instill a bold boost for your manhood!